Was Early’s Raid to Washington D.C. a Success? Today we welcome guest author Kyle Rothemich. Lt. Gen. Jubal Early’s Army of the Valley crossed the Potomac River near White’s Ford back into Virginia on July 14th. When his small force found themselves back on southern soil, many of his men were happy to be back in the south. One of them was a Georgian, G.W. Nichols who remembers, “We were all glad to back to Dixie land, for we never loved to cross the Potomac going north.”As Early retreated back west, the Union 6th Corps, under Maj. Gen. Horatio Wright followed his movements, keeping a close eye on Ol Jube. Early’s campaign in the early summer of 1864 was utterly successful. 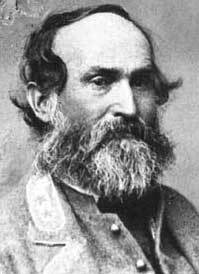 First, he cleared the Shenandoah Valley of Union forces under Maj. Gen. David Hunter following the Battle of Lynchburg. Second, his rag tag force marched hundreds of miles towards the Union capital at Washington D.C. The Valley of Virginia was once again, “a valley of humiliation” for Union high command. Gen. Robert E. Lee attempted to use Early’s movements in the Valley as a distraction. With Early running rampid through the Valley in the early summer and threatening Washington D.C., Grant was forced to defend the Union capital. Nearly 15,000 soldiers of the Union 19th and 6th Corps filed into the fortifications of Washington as Early approached D.C.in early July 1864. However with the capital saved, Grant lost crucial men in his effort to crush Lee’s Army of Northern Virginia and capture Richmond. Stay tuned as we follow his actions as he re-enters the Shenandoah Valley 150 years ago. To commemorate these events, Cedar Creek and Belle Grove National Historical Park will be conducting special “On This Day” Battlefield Tours. These tours will occur exactly 150 years after certain actions took place in the Valley. Tours include The Battle of Cool Spring on July 18th, Battle of Rutherford’s Farm on July 20th and the Battle of Second Kernstown on July 24th. All of these tours are free and we encourage visitors to walk in the footsteps of these soldiers some 150 years later. For more information, visit our website at www.nps.gov/cebe. Or call us at 540-869-3051. Also, like our Facebook page at, https://www.facebook.com/CedarCreekNPS. G.W. Nichols, A Soldier’s Story of his Regiment (GA 61st Infantry Regiment)(Clearwater: Eastern Digital Resources, 2001), p. 182. Richard R. Duncan ed., Alexander Neil and the Last Shenandoah Valley Campaign (Shippensburg: White Mane Publishing Co. & Inc., 1996), p. 49. This entry was posted in Campaigns, Leadership--Confederate and tagged Battle of Cedar Creek, Battle of Lynchburg, Belle Grove, Cedar Creek, David Hunter, Jubal Early, Robert E. Lee, Whites Ferry. Bookmark the permalink.